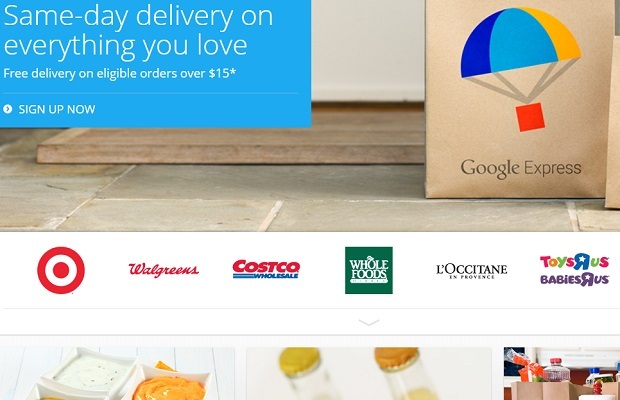 Google is taking on Amazon and eBay with a ‘Buy’ button that lets mobile users purchase items from search results, according to a news report. Netflix is looking to enter the lucrative China market, partnering with a local media company, according to a news report. 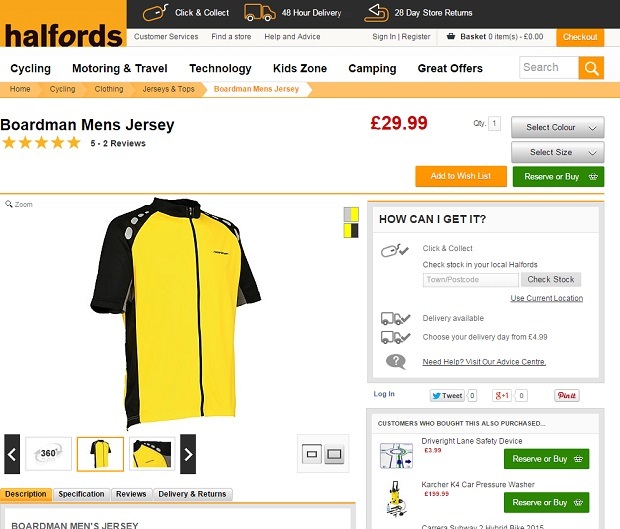 Halfords has tested green screen technology for the first time to support the launch of its new Boardman clothing range, following a huge increase in customers using advanced imagery options when shopping online. A new online delivery service, dubbed ‘FarmDrop’ has gone live, delivering fresh food from local and hyper-local farms and suppliers to London doorsteps. 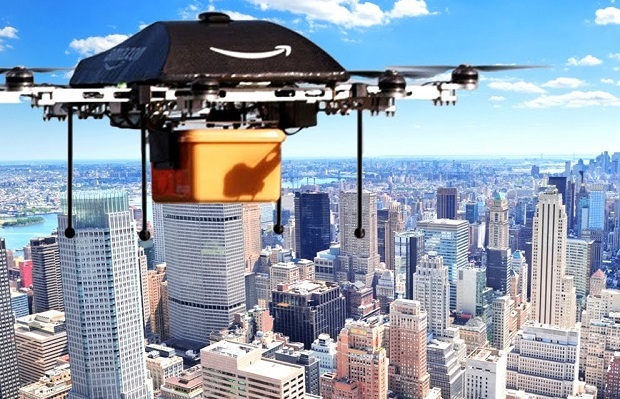 Amazon has published details of its Drone delivery plans, including a the ability to track the location of the person it is delivering to by pulling data from their smartphone. Nearly half of small businesses do not actively use social media, and 25 percent claim that they are unlikely to use social media in the future, according to a survey conducted by research firm Clutch. 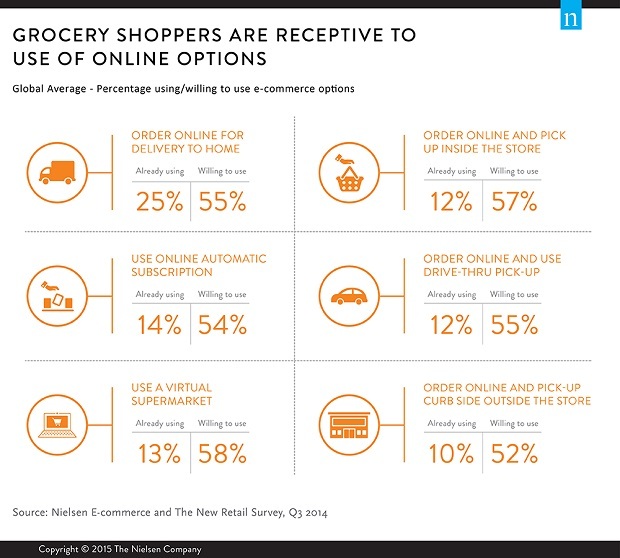 Global grocery shoppers want a blend of digital and physical to help with their purchase decisions, according to new research from Nielsen. Chinese e-commerce giant Alibaba appoints a new its chief executive as it announces 45% revenue growth for the quarter.